Today, we’re going back to basics. 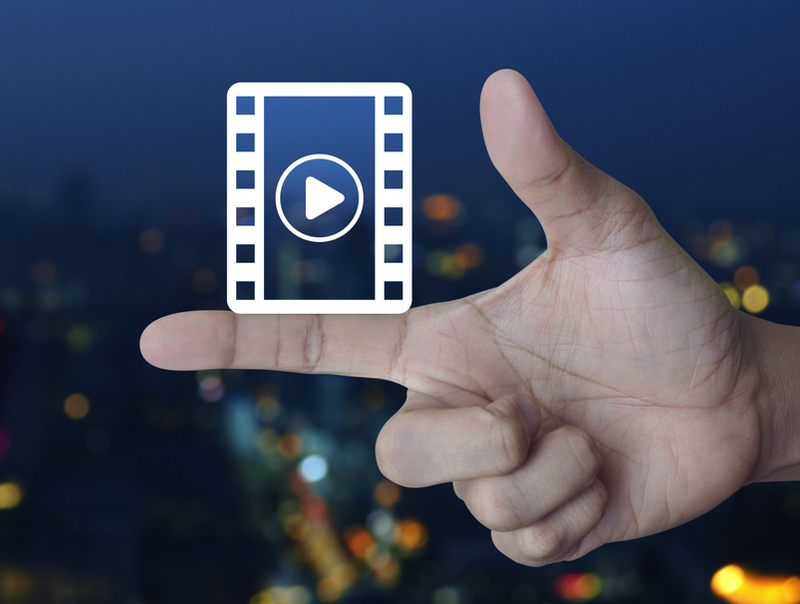 Let’s examine a key topic: how to stream live video over the internet. As you may know, it’s a big question in today’s day and age. Online video is growing explosively. for example, hours viewing online video grew 114% in 2018 compared to the same time the previous year. And live streaming is making up an increasing portion of that content. In this post, we’ll examine this topic from the perspective of a professional with little to no experience in live streaming. Our goal is to give you a solid grounding in how to stream live video over the internet. In turn, this will help you feel more confident to select the best online video platform and start your live streaming endeavor. First, we’ll discuss how various businesses, schools, and institutions are using live online video. As we’ll see, many diverse groups find major value in live streaming. Next, we’ll look at how to set up, configure, and stream live video over the internet. Finally, we’ll go over some case studies and best practices to stream live video. 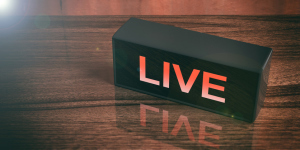 Simply put, live streaming simply refers to content that is broadcast in real-time over the internet. Nowadays, live online video is more popular than ever before. It’s a powerful communications media, and maturing technology has made high-quality live streaming easier than ever before. In 2019, there are a wide range of streaming solutions to meet diverse broadcasting needs. That said, what can live video do for you? Of course, there are a multitude of answers to this question, depending on your business. However, there is no doubt–the times, they are a changin’. Starting in 2015, young millennials (ages 14-25) began watching more video on digital devices than on television. In short, the future of video isn’t TV; it’s online. In the words of marketing guru Neil Patel, “Live streaming is accessible and beneficial to everyone, and it’s time you started using it.” In a similar vein, Animoto’s Social Video Forecast suggests that 76.5% of marketers and small business owners get results with video marketing. In fact, marketers who use video experience 49% faster growth in revenue. Many businesses find that live video can be very profitable directly. In fact, the video streaming market is predicted to be worth $70.5 billion by 2021. Live streaming is making up the majority of that growth. By 2019, more than 51 million U.S. households use OTT streaming services, which often include live video. Worldwide OTT revenue was roughly $46.5 billion in 2017. Morover, experts predict that number will rise to $83.4 billion by 2022. In general, most OTT content is monetized via subscriptions (like Netflix). However, advertising is another popular way to monetize live video. By the third quarter of 2015, year-over-year ad views had increased 113 % for live video. Since then, these numbers have continued to rise rapidly. All sorts of OTT, media, and entertainment businesses are getting involved in live video. In the sports market, for example, companies like DAZN have moved from filming in the stands to making billion-dollar deals with sport leagues. 1545 Media provides live streaming services and video production to major clients including Kaiser-Permanente, Unilever, and LA Fitness—all via DaCast. Striv provides live streaming services to a network of schools across the US Midwest region, powered by the DaCast network. 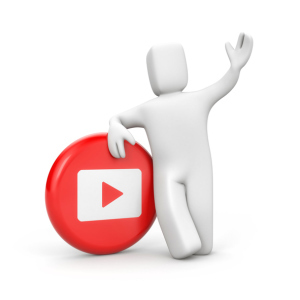 MorningCME is an educational business that provides video training to doctors, EMTs, and other medical professionals. SMSA Church live streams liturgies, weddings, and other important services to their congregation. We hope this information provides useful examples of how businesses use live video today. 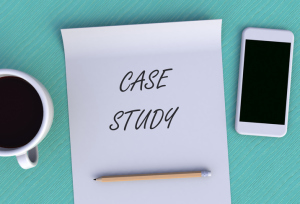 Also, you can access many more DaCast customer success stories here. Plus, note that DaCast won the 2018 Streaming Media Readers’ Choice Award for Best Video Platform for Small and Medium Businesses. We’re here to get you and your business into the streaming market today! Next, let’s shift gears to discuss how to stream live video over the internet. Using modern technology, it’s easy to reach a global audience instantly. Compared to a decade ago, live video streaming is easier, more affordable, and requires less equipment. Likewise, almost anyone can watch live from anywhere in the world. The only real barriers are language and time zones. 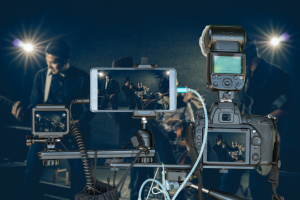 Now, let’s look at three elements of how to stream live video over the internet: equipment, hosting and delivery, and workflow. 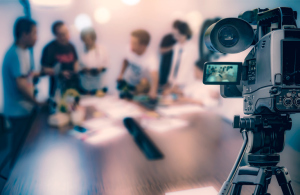 First, to set up a basic live stream requires just a few pieces of equipment: a camera, a microphone, an internet connection, and an encoder. All of these are probably self-explanatory, except perhaps the encoder. For context, an encoder is a software or hardware device that transcodes a video into a format suitable for live streaming. High-speed internet connection (a wired/Ethernet connection will provide higher speeds and greater reliability than using WiFi). YTo test your own internet speed, go to a website such as TestMy.net. Next you’ll need a live streaming provider. These are often referred to as “Online Video Platforms” (OVPs); I call them Swiss Army Knives for online video. Now, let’s walk through a basic workflow. 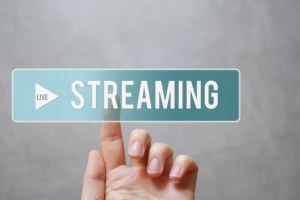 In most contexts, you can follow this process to set up a live stream successfully. Of course, you may need to modify it for your specific circumstances. Nevertheless, the basic principles still hold for most streaming scenarios. On location, set up your cameras and microphones. We always recommend using tripods for stability. Next, choose a central location for your encoding/mixing to take place. Set up your computer at this location. Your engineer should reside here to control the broadcast, as well as switch between different camera angles, initiating graphics and animations, etc. After the encoder is set up, run cables to connect all your equipment. Now, turn everything on and make sure it is functioning properly. Next, choose the correct encoder settings for your broadcast. At this point, connect your encoder to your online video platform via the settings menu. Here are instructions for the DaCast platform. Finally, set up a test live stream, and broadcast it (privately). In particular, ensure that video, audio, and streaming settings are all correct. Now, embed your live stream video player on your website, and anywhere else you want to broadcast. You’re ready to go! Launch your live stream whenever you’re ready. Before we wrap this up, let’s throw in a few best practices and final tips. As you may know, HLS is currently the dominant streaming video format. That’s partly because HLS is a mobile-native format. We recommend HLS streaming. RTMP delivery to the streaming host is still common and the most compatible method. Building mobile apps has the potential to grow your subscriber base hugely. To date mobile app usage has increased 69% year-on-year. In fact, you can use the DaCast APIs and SDKs to build mobile apps easily. For now, the H.264 codec is the de facto standard for online video. With that in mind, we recommend streaming using H.264. Successors—HEVC/H.265, AV1, and VVC—are either not commercially viable or not yet ready for use. We hope this article has introduced you to how to stream live video over the internet. On the one hand, the process is relatively straightforward. For the challenging parts, on the other hand, we’ve written a variety of other guides and how-tos. In addition, you can always search this blog and our help desk for more support. Above all, we’re here to help! In fact, DaCast provides fast, secure live streaming service to a wide range of businesses. That said, are you ready to try out our streaming solutions? Or, do you want to check out how our live streaming video platform could boost your business? If so, click below to begin the sign up process for our 30-day free trial. No credit card is required. Consequently, you can don’t have to cancel anything if you decide not to use it after the trial expires. Lastly, do you have any questions, comments, or ideas to share? Feel free to write us in the comment section below! We love to hear from our readers. Also, for regular tips on live streaming in a community of experts, as well as exclusive offer, feel free to join our LinkedIn group.